guests the ability to completely relax. There is a view of the Blue Mountains from the property. home of famous Jamaican actor, comedian and play write Charles 'Charlie' Hyatt. The property is a natures preserve. Enjoy hiking the Blue Mountains, sunbathing, birding, mountain biking and relaxing in the beautiful garden, have a drink on the patio while enjoying the breath taking views of the Blue Mountains. Enjoy Breakfast at the Cafe Blue a short stroll away down the mountain, lunch at the Gap Cafe a short trip up the mountain or dinner at the World Famous Strawberry Hill Restaurant, Resort and Spa located right next door. Enjoy a piece of Jamaica's history with a trip to New Castle, a day hike to Hollywell National Park or tour the beautiful Catherine's Peak. 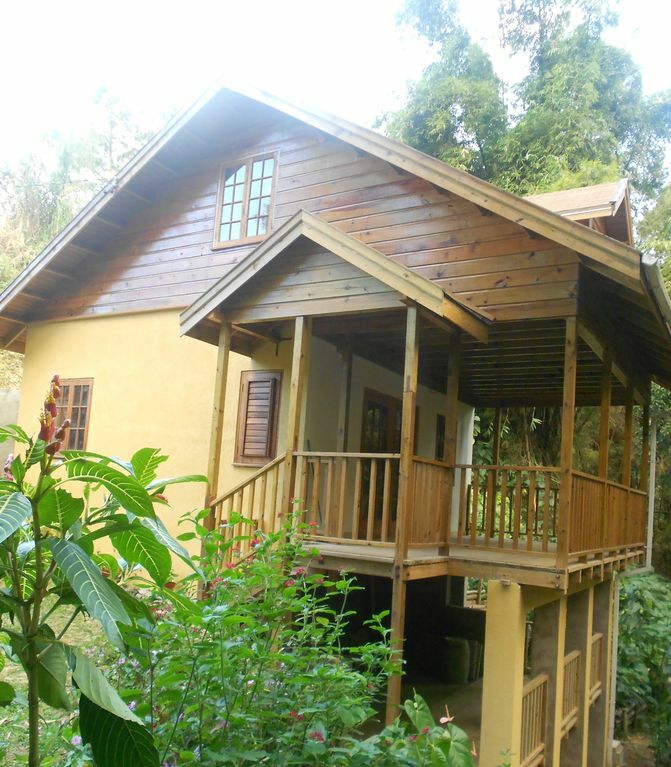 This cottage is a nature paradise, yet is safe and offers Kingston night life within minutes. Transportation and other arrangements can be made for other local and out of town attractions. From the cottage you can enjoy a Jamaican historical trip to Port Royal, take a boat ride to Lyme Cay, visit the Bob Marley Museum, tour Devon House or spend a beautiful Jamaican day at the beach at Hellshire where you can enjoy all fish and festivals your heart desire. At night time go clubbing along the New Kingston hip strip, Mass Camp and any of the numerous carnival, parties and festivals that fills the Jamaica social scene.